How to spend €3000 on a 1.3 MultiJet engine? 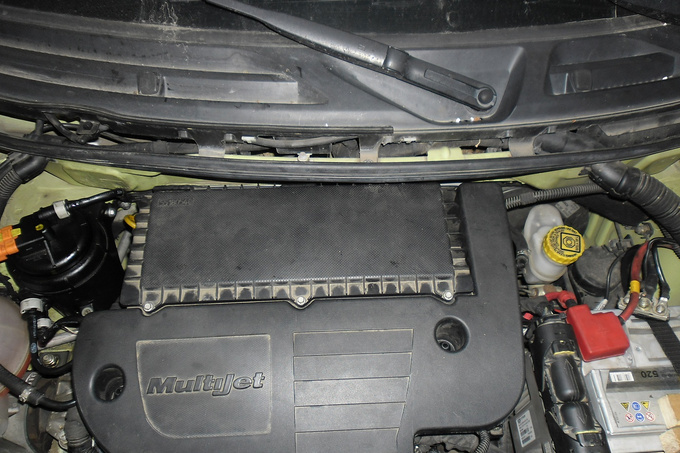 Recently I got a desperate phone call from the owner of a 2005 Fiat Panda 1.3 MultiJet. He had just bought the vehicle from a female doctor in the countryside. Although you would be right to suspect that this archetype of an ideal first owner has never existed outside of car salesman fantasies, it is not a joke this time. This customer says he has spent almost €1500 on the car. The symptom: uneven running with lots of blue smoke while cold. First he visited an official repair shop with a minor issue – he could feel a slight twitch during acceleration. 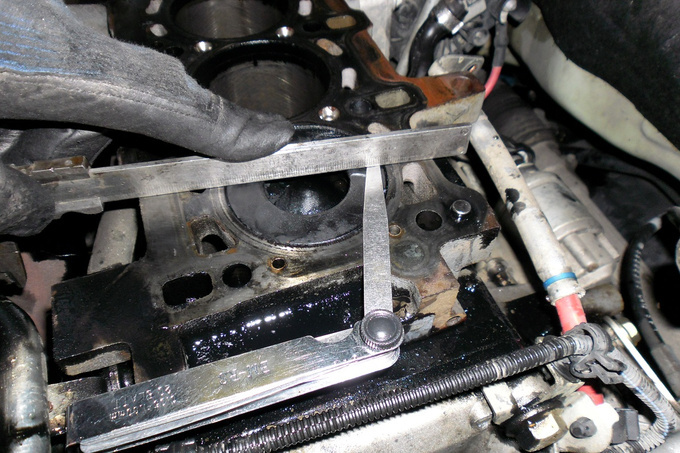 It must be the EGR valve, they said and had it replaced – unnecessary spending no. 1. Turns out that was not the culprit. Must be the air mass sensor then. False alarm – unnecessary spending no. 2. And then real trouble struck. The car would not start one morning. Eventually they got it running, at which point it first displayed the blue smoke and the jerky running. Back to the official repair shop. 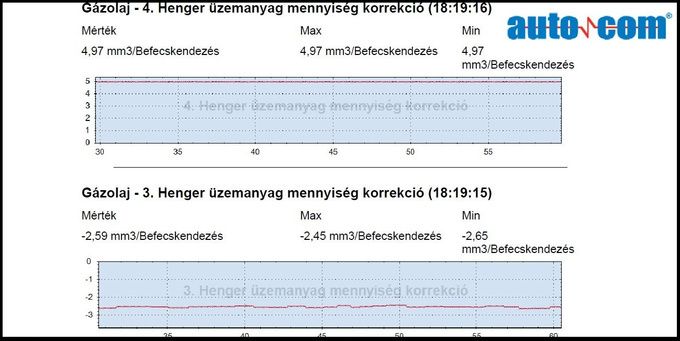 Now they came up with a brand new diagnosis: the idle correction values for the injectors are too high. Options: replace them for €2000 or have them refurbished. He picked Door Nr. 2. No improvement – unnecessary spending no.3. At this point it is useful to stop and go over the terminology. Idle injection correction is a common-rail diesel function which ensures completely smooth, even,vibration free running at idle. Its operating principle is almost identical to the combustion fault control function found on petrol engines. The engine control unit (ECU) processes the signals received from the crankshaft position sensor. If any cylinder displays a lower rate of angular acceleration than the others during the expansion phase it increases the amount of fuel injected into that particular cylinder. 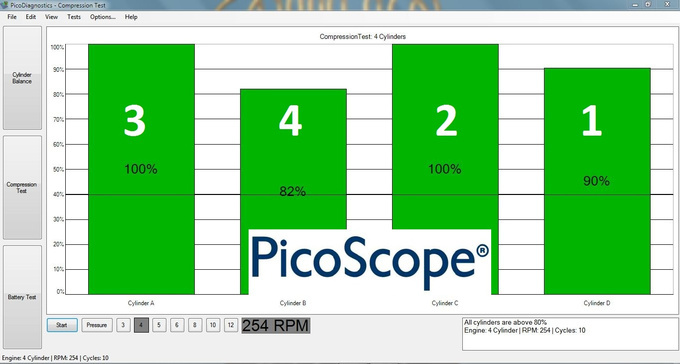 First I performed a relative compression check using my oscilloscope. This will give you an approximate overview of the state of the engine by checking the changes in the current drain on the starter motor and the terminal voltage on the battery. I had to mark the cylinders in the columns, the software cannot do that for me. Having seen the results I called my client and asked if his troubles started after a rainy day. He thought I was a psychic or something. Of course I wasn't but I had spent some time in a Fiat repair shop where I encountered similar issues which can be traced back to an inherent problem. This engine is well-known for its thriftiness and is used widely by many manufacturers, from Opel to Suzuki. 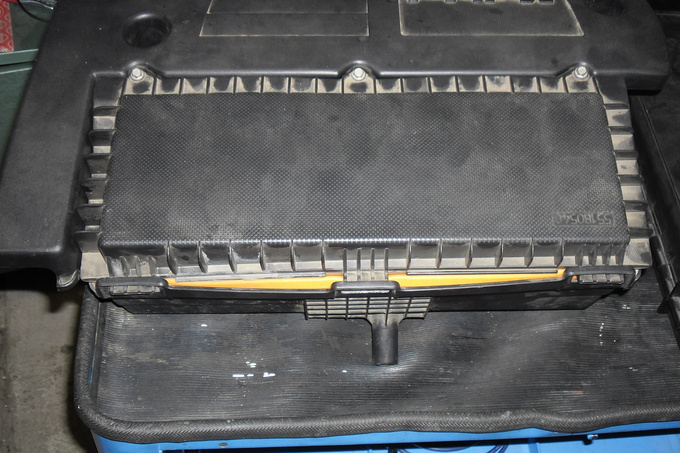 And yet the quality of the air filter housing is appalling as you can tell from the picture. It has a tendency to warp, especially when installed in the Panda. If you have a car like this and you feel terrified and depressed by now seeing what's next, I have an advice to you: have your car checked by a professional, who really uses his eyes to see with them. I keep telling people there is more to maintenance than replacing the oil and the filters. Whoever installed this air filter must have seen this setup was asking for trouble. All of this could have been avoided with the replacement of the air filter box, or if that sounds too expensive, the hole could have been filled in with some easily removable silicon gasket, ugly as it looks. After removing the cylinder head I checked for piston protrusions. Measured at top dead centre it was about 1.5 mm lower for cylinder 4 than for cylinder 3. It was obvious that, despite its low mileage of only 60,000 km, the engine had been opened up. 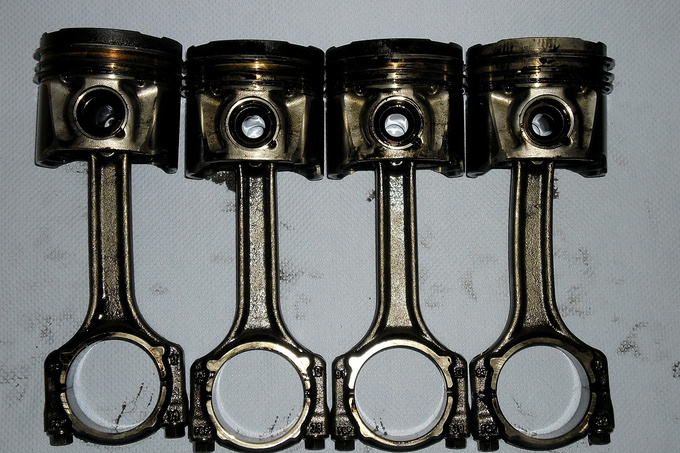 After I removed the pistons I realized that the connecting rods in cylinders 1 and 4 are bent. Remember how your high school physics teacher used to say fluids are incompressible? He was so right. The degree of damage is proportional to the higher injection correction value. Unfortunately spare parts are very expensive for this engine, my quote for repairs was around €1300. It could have cost next to nothing if there was a proper serviceman at the beginning. 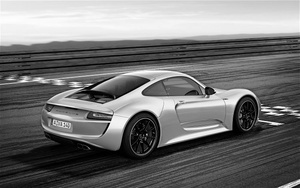 Porsche is to top up its sports car line-up with a new dream car. The aim is to give the Ferrari 458 a run for its money.